So we’re kicking off a new plan I have going on. First up, work is starting to increase again, so I’ll be making sure I write these up and get them ready the night before. Irregular posting commence! More importantly though I’ll be aiming to surpass 50 reviews on /r/bourbon, and in the process go through most of my samples of American whiskey that have been building up. So why not start with a high note? 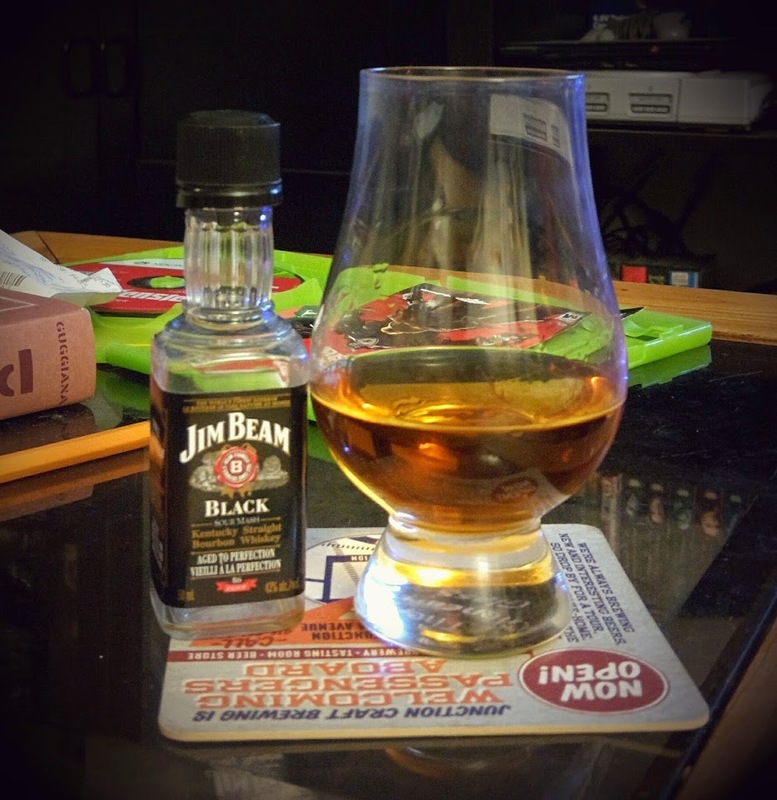 Yup, it’s time to review the tiny sample of Jim Beam Black that I own. Try to contain your excitement for this rare Unicorn of the Bourbon world.